• Façade Maintenance	 Lerch Bates;	Access Advisors Ltd.
• Way Finding	 HOK, Inc. 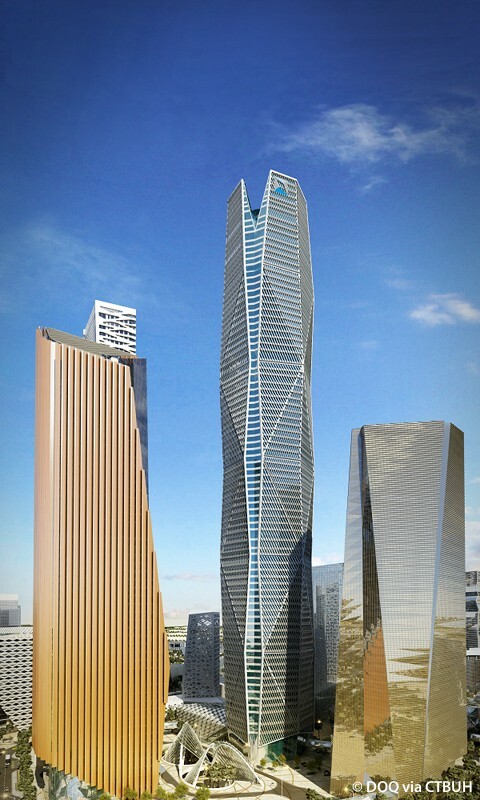 The PIF Tower is designed as the centerpiece of this new office district, and symbolizes the beginning of a new era of financial development within Riyadh. 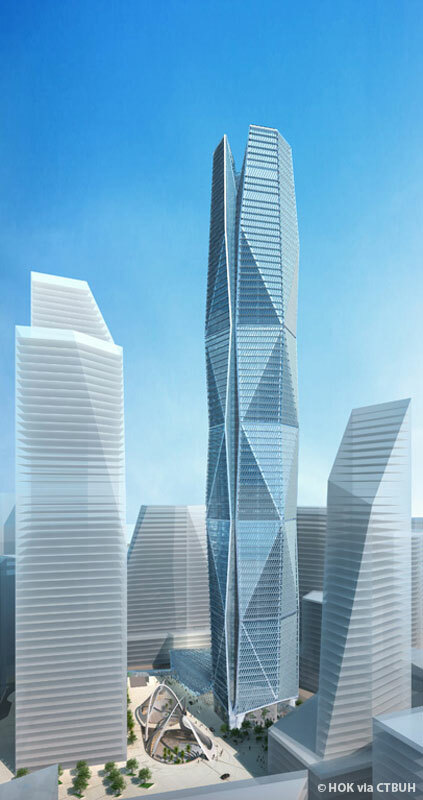 A primary requirement for the building’s design was that it be both efficient and iconic. Architects were constrained by an oddly-shaped building site, with many surfaces around it that needed to be accommodated. 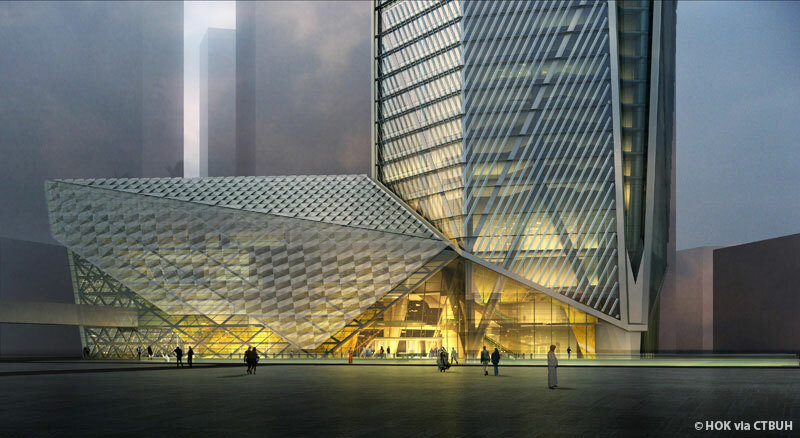 This informed the prismatic shape of the building, with its many diamond-shaped facets that allow the sun to be captured in a variety of ways. 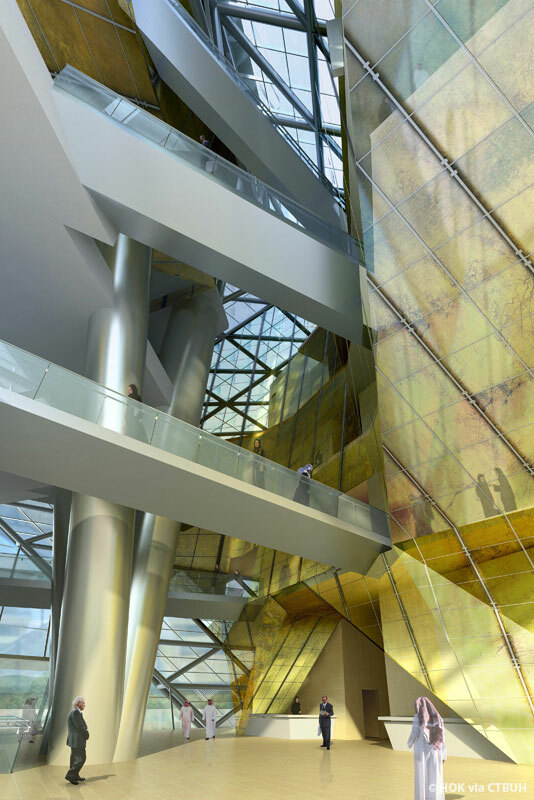 The base of the hexagonal building is on a podium structure, which integrates public and private spaces, including dining facilities and a two-story auditorium. 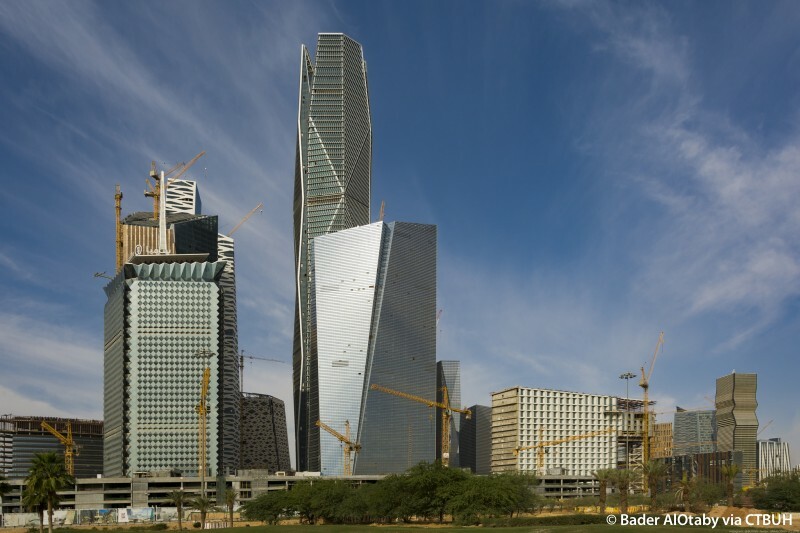 The architects carefully considered the hot, sunny climate of Riyadh when designing this building, which is expected to achieve LEED Gold certification. 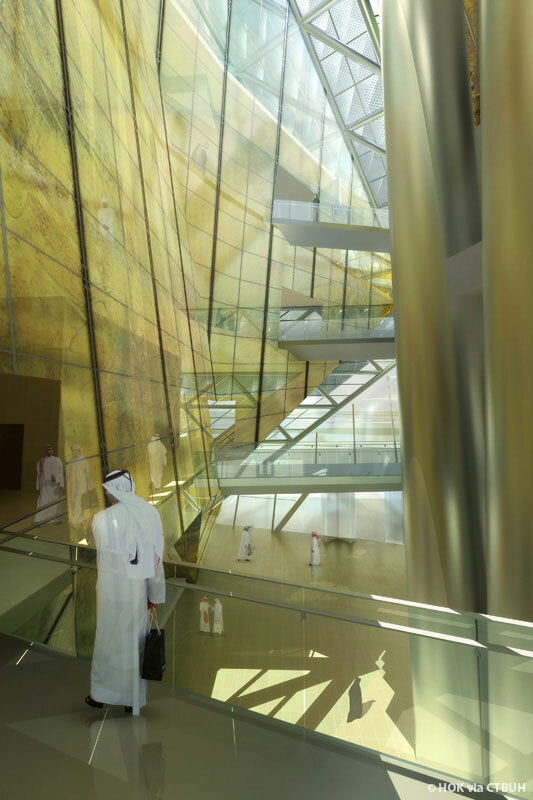 The tower’s transparency creates internal openness and provides access to natural light within the workplace. 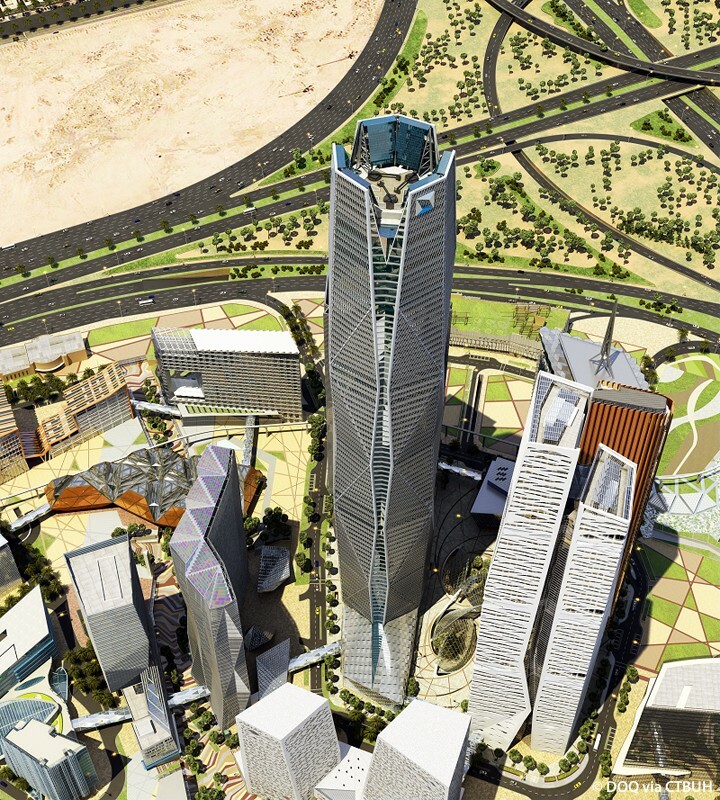 A high-performance solar control system moderates the intense Saudi light and heat. 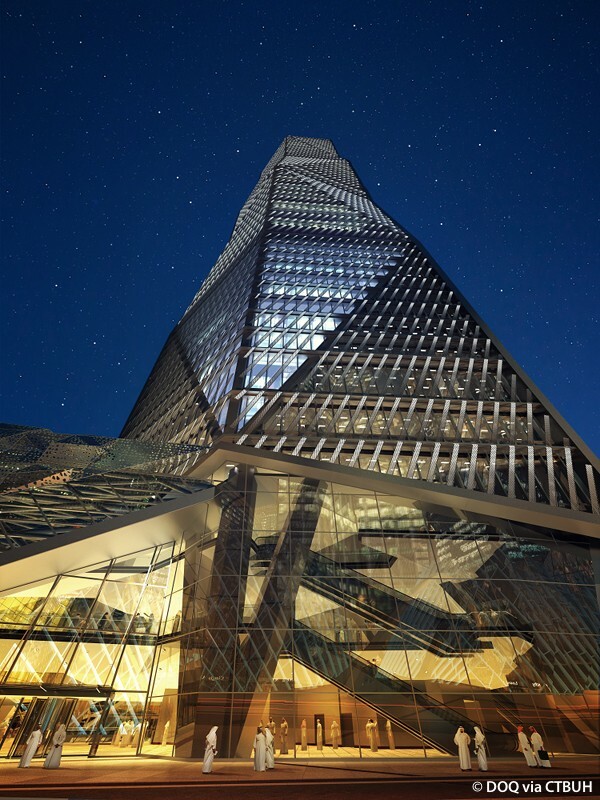 An external layer of fins, gantries, and perforated panels provides shade, amplifying the thermal efficiency of the triple-pane unitized glazing. Together, these shading devices minimize solar gain and internal cooling loads, reducing HVAC requirements. 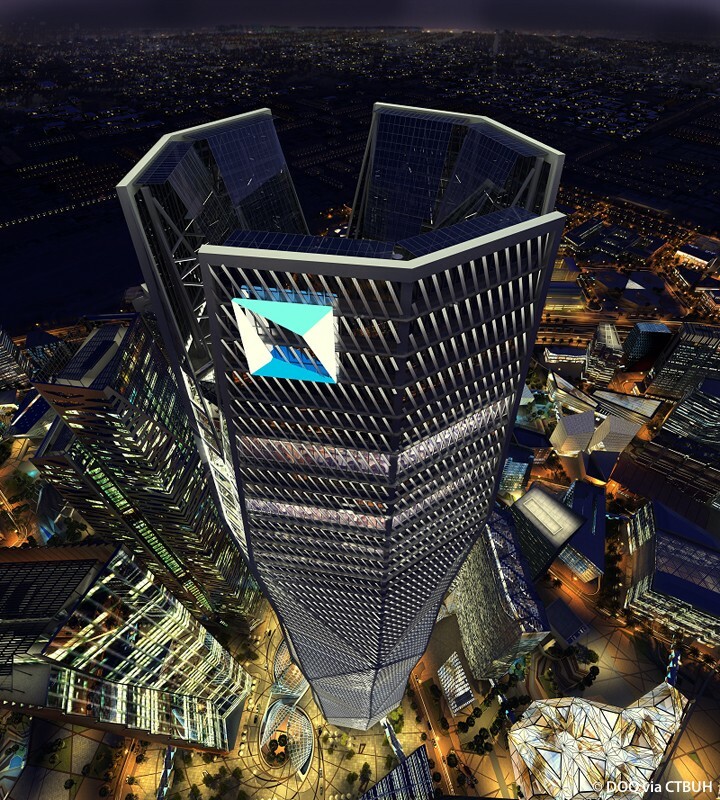 Electrical energy is reclaimed through a photovoltaic array installation on the tower’s roof. Eliminating copper-wire-based distribution systems for data and security further reduces internal heat gain. 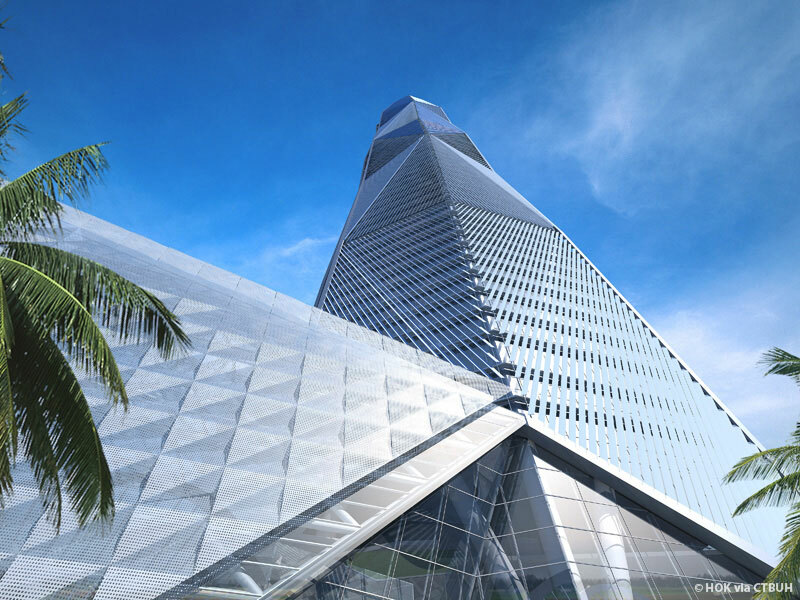 The design uses the “cool” technologies of wireless communication, air-blown fiber optics, and converged networks. The intelligent infrastructure merges voice, data, and video networks to reduce costs, centralize management, and boost productivity. Since each of these systems has been fitted with redundant capacity, the building is well-prepared for further expansion and a high-tech future.